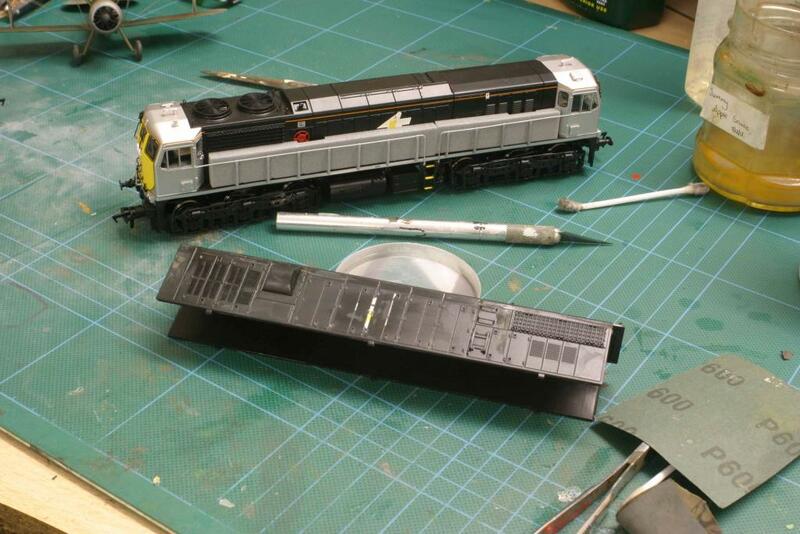 Well I have been a bit on the quiet side but busy enough with various builds of kits and the like which are on the ISM forum i you want to take a peek but heres are few bits n bobs I have on the go at the moment. 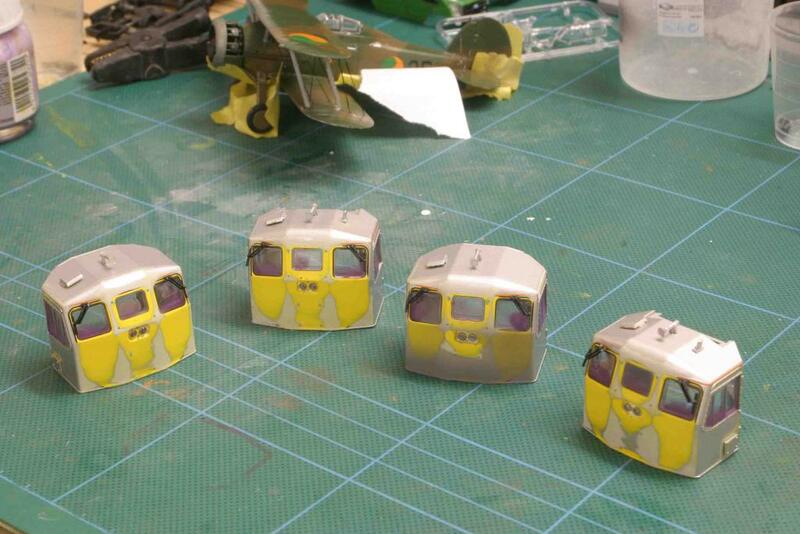 I wont bore you guys with weathering shots as I load these up on the facebook page I have now as its easy to do. Heres the new workshop delivered from Hayes Cabins in Castlefreake, Thanks to Tommy Nolan in Wexford for instilling the idea in my head, Its a bit of a mess inside but slowly will be kitted out. The size is 20ft x10ft. 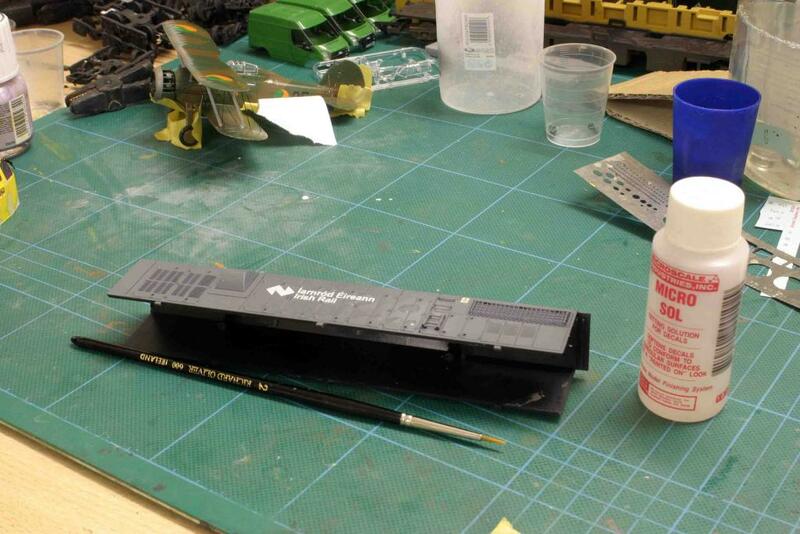 Heres some bit on the ol workbench last night. 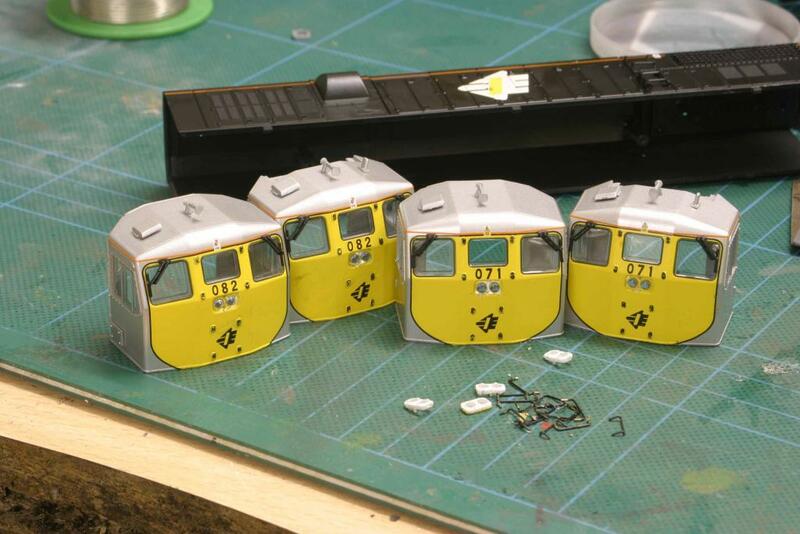 071s and decals by the Wizard in the West. 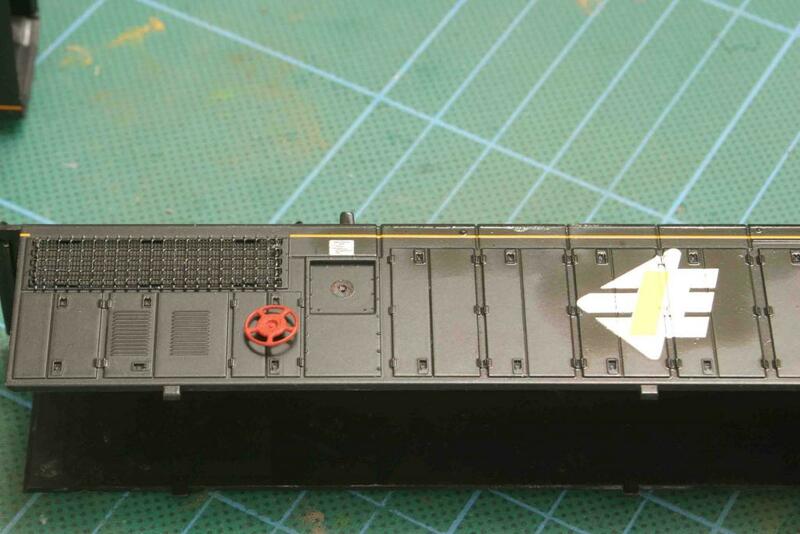 Next was to take the main body off and I unscrewed the 4 screws under the bogies. 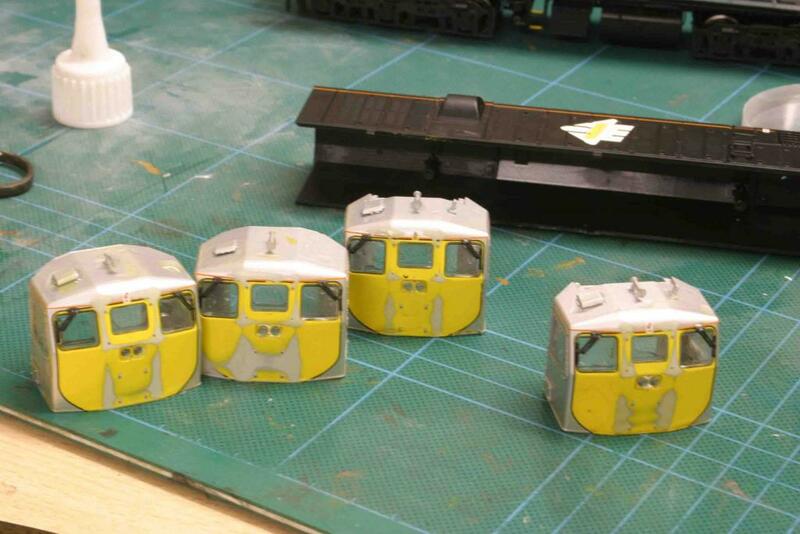 I then tackled the main decals,The reason behind this is that they show up underneath the paint spoiling the paint job. This took about a hour...Is there an easier way. I used 2000 grade wet n dry and cotton buds to tackle this slow job. 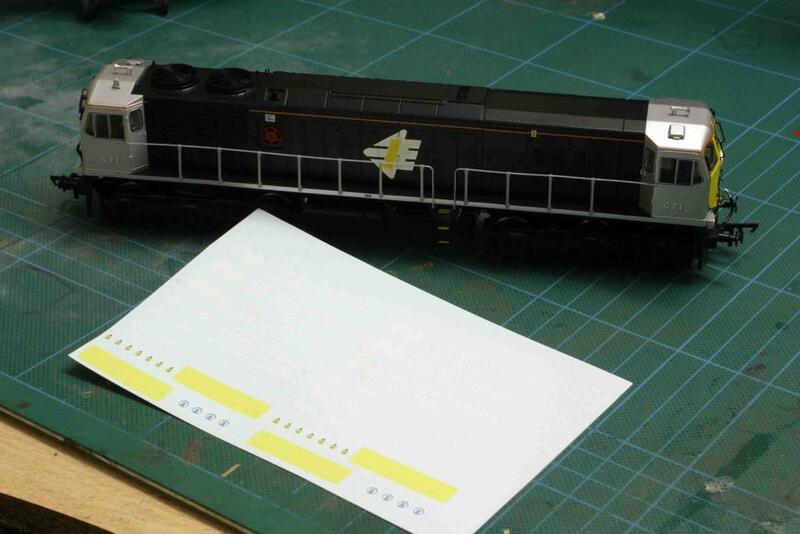 The main printed markings have gone. I dont worry about the stuff in the grooves as it wont show. Then I turned my attention to the cabs. These come off with a tiny bit of Persuasion, If the little holding tab breaks off then just superglue it back on. The cab light wires were unsoldered. 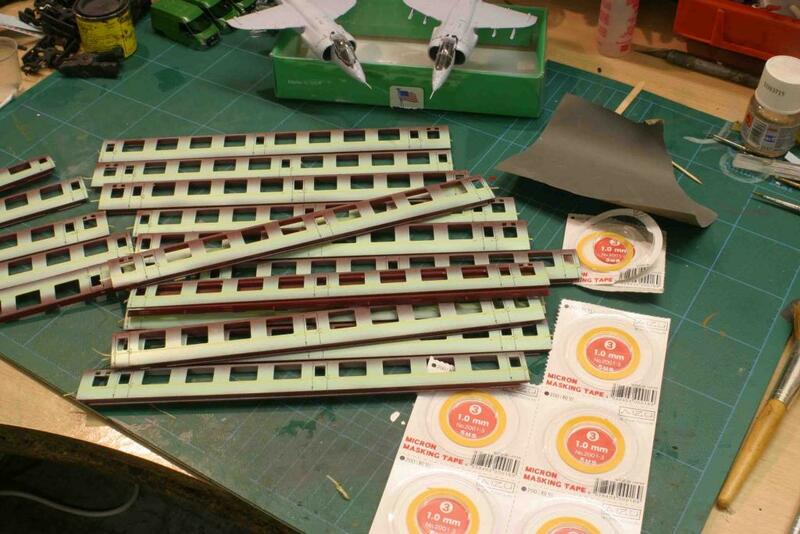 I then needed to take off the grab rails and these only need a tiny but of a lift to come out perfectly so that you can use them on a 121 build or 071!! I used a wire cutters to do this job. 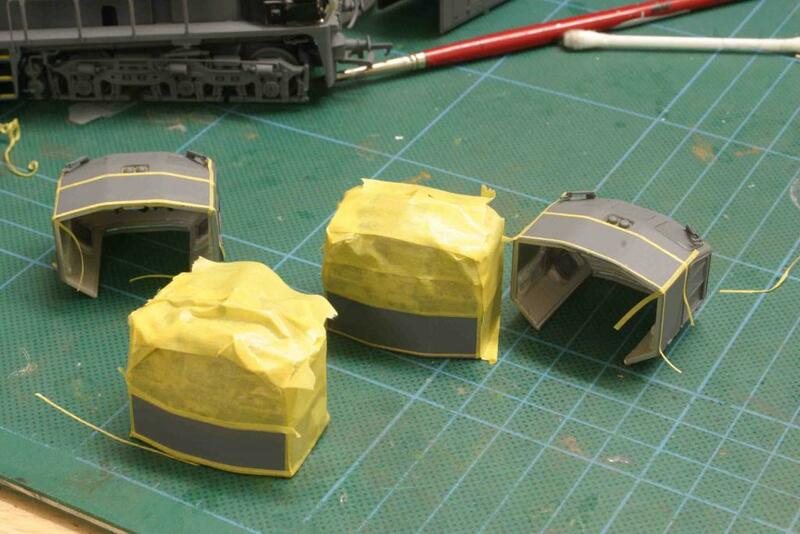 I pried off the headlights also with a blade and put the spare bits safely away so I cant find them in a few days time!! All the stuff is now washed and drying so more work tomorrow night!! A workench thread and tutorial all in one... love it! Looking forward to your next update, George! great stuff george...the decal removal always buggered me - could never remove them without dulling the paintwork unberneath! Well up George, that is a quality tutorial and as always, crisp clear photography. 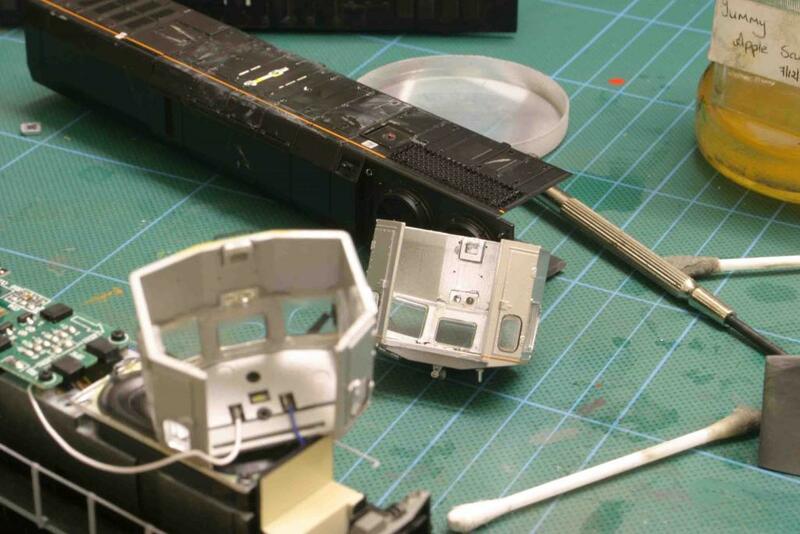 Some amount of work in reworking the 071 in modern livery. Loving your new workshed, how did you get that past 'Er Indoors??? 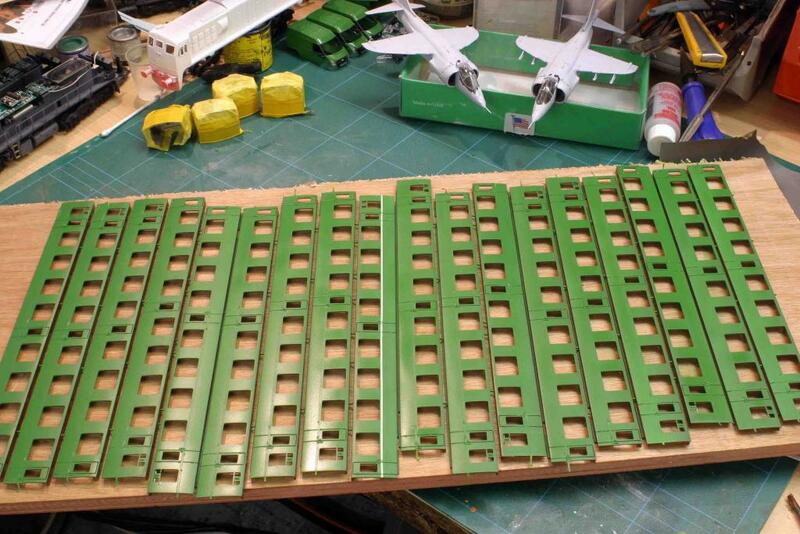 Top work George, great to see your workbench! 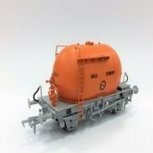 Any chance to see that Bandon Tank you were working on? 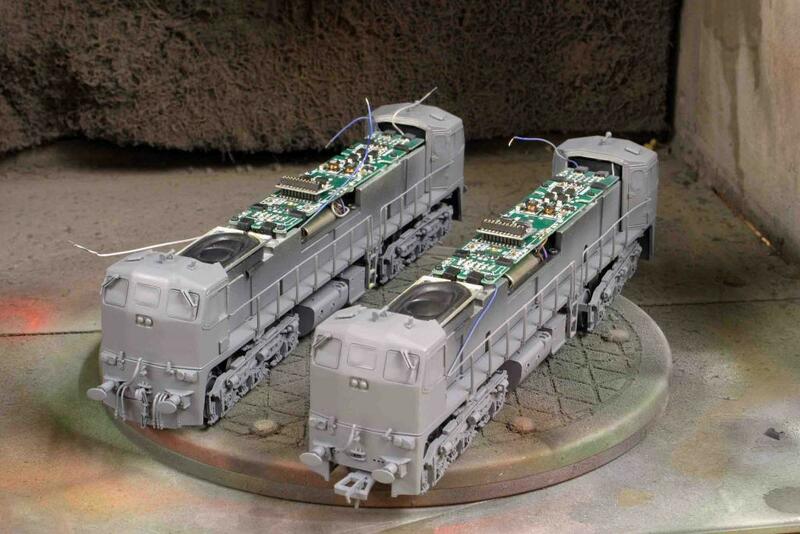 Wow± That finished, weathered grey is breathtaking! Great work as always George. Like the An Post fleet in the back of that shot! Any details on that for us. Top class work as always! Great to see it step by step. Excellent George, a great tutorial. 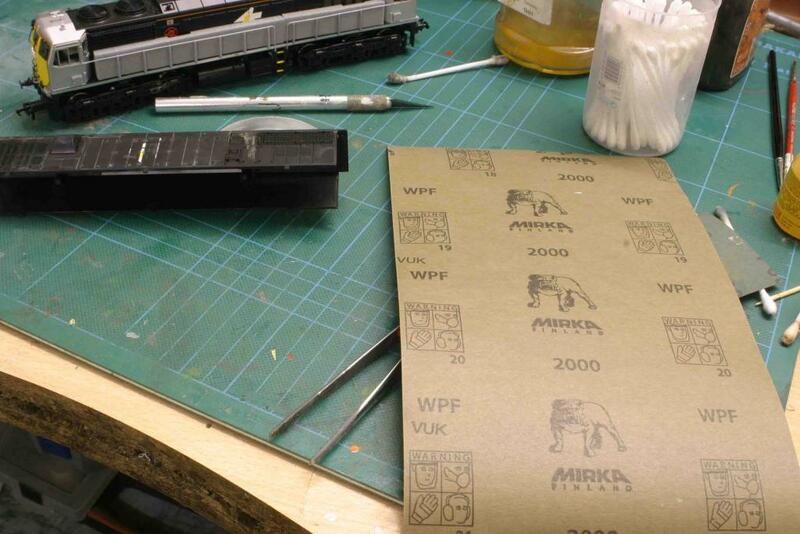 I love the wipers on the new 071 livery, the etched ones look a lot finer, and the decal on the steps is a nice touch. 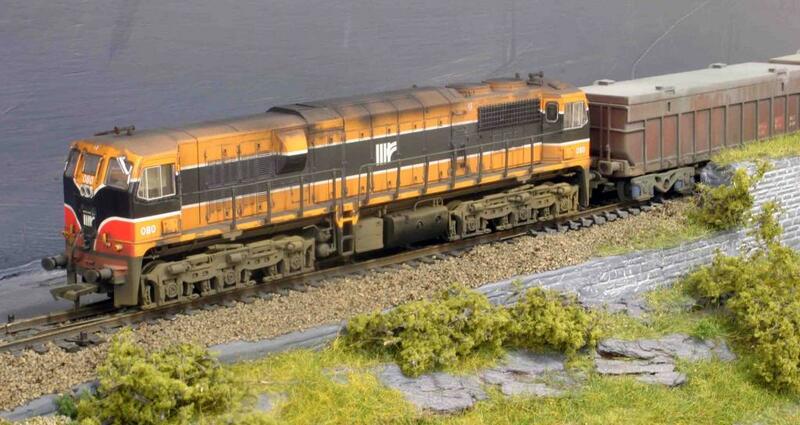 I am toying with the idea of a portacabin to house my layout when the time arrives for the build to begin. Sharon's folks are builders and a blocks and mortar build would be a weekend job which could be slow. With a build you have to add in the cost of blocks, cement, windows, doors, security, electrics, timber for the roof, tiles for the roof, gutters, and down pipes. then there is the decoration and labor costs. I am a little worried about how housing a layout in a portacabin would affect the layout living on the coast. Having said that I have been in portacabins that have been used as dressing rooms, class rooms, and they have been fine in all weather conditions. Let me know when you have it cleaned up and ready for action, I'd appreciate your opinion. Nice few projects ahead of you there George. Now that you've got the mans shed the real fun begins! I presume a Beamish tap will be the first installment! Good to see you back on the form. As Rich said the replacement wipers on the 071s look superb. The Portacabin is pretty good, Nice a warm in the summer but not too hot, Comes complete with sockets and a heater which is good. I did get an offer of a 30ft for about E500 as no one wants those but the boss said no, should of said nothing and got one in the end as you can be a bit of space. The cabin was E2500 and that was after shopping around, Its not new thought but not too bothered about that. Thing is when I need a replacement or bigger effort it can be craned back out easily enough. As you say Rich these cabins are all around the country, you can pay large amounts of dosh for some snazzy ones but shop about. Vandal screens would be handy to so I will fit those on shortly as well as a motion alarm. 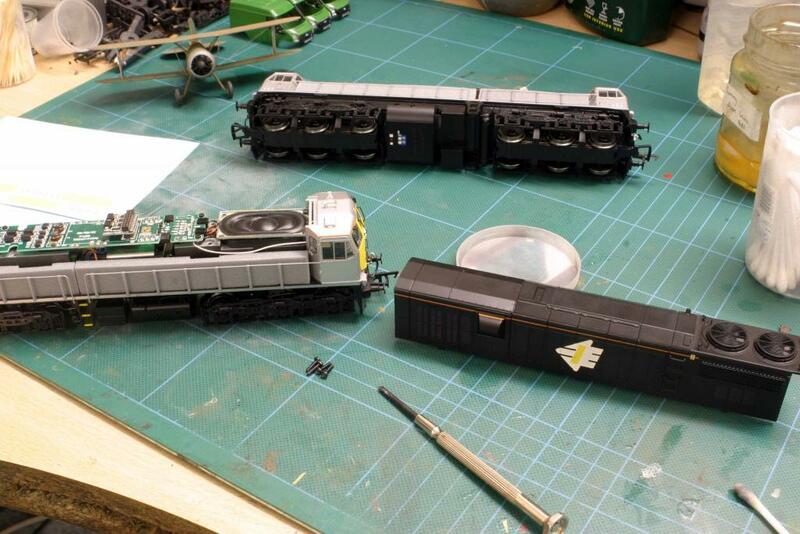 Thing is now, OO or N gauge, Irish or UK, That the Dilemma. 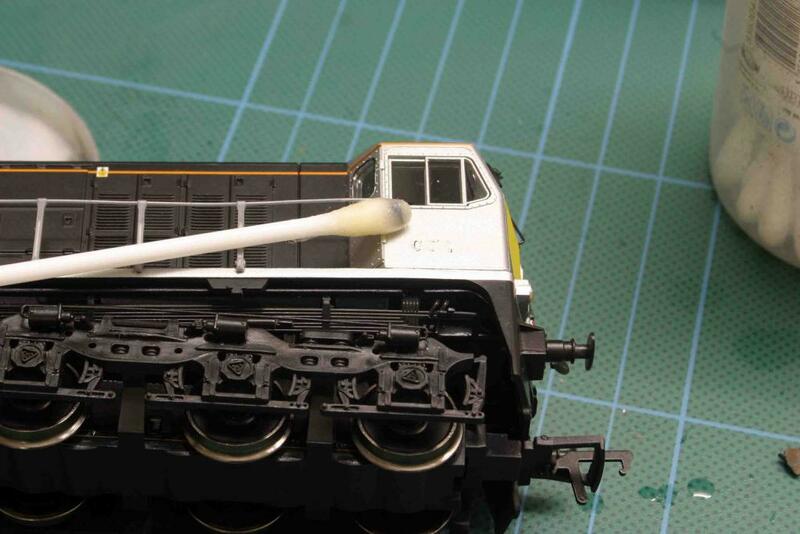 A Dapol HST in Blue grey will probably swing the N gauge vote!! Toying with doing a layout though based on Newcastle West ut with a Cement/ fert depot, The track layout is interesting and plenty of running around!! . Got the Track bought just need to work out how big. Probably will be an end to end exhibition set up. Thank for the nice comments lads. 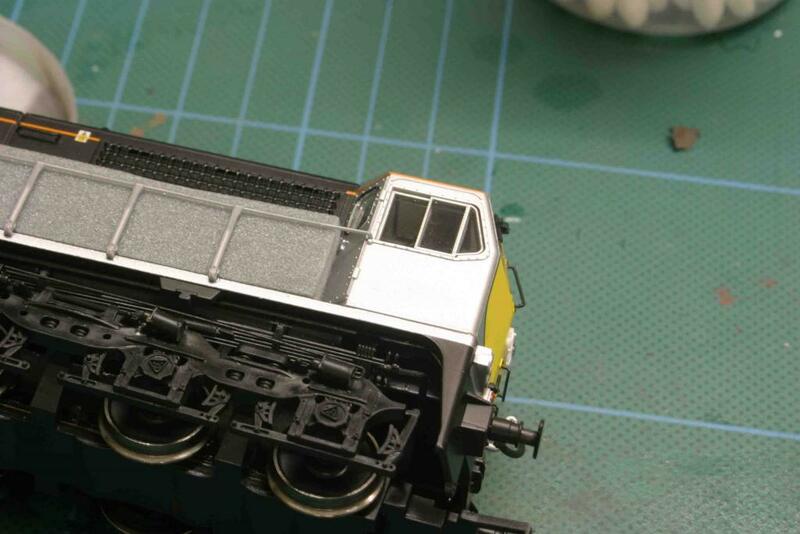 The Bandon tank is not quite there yet as had to put it aside for other work. Thanks for that George. 20 by 10 sounds like a good size, don't think the missus would entertain a 30 footer. Mind you a 24 ' would be nice as a little work space would be ideal. I shall shop around. The plans sound good regarding the layout. Whatever you choose I bet it will be a cracking job. 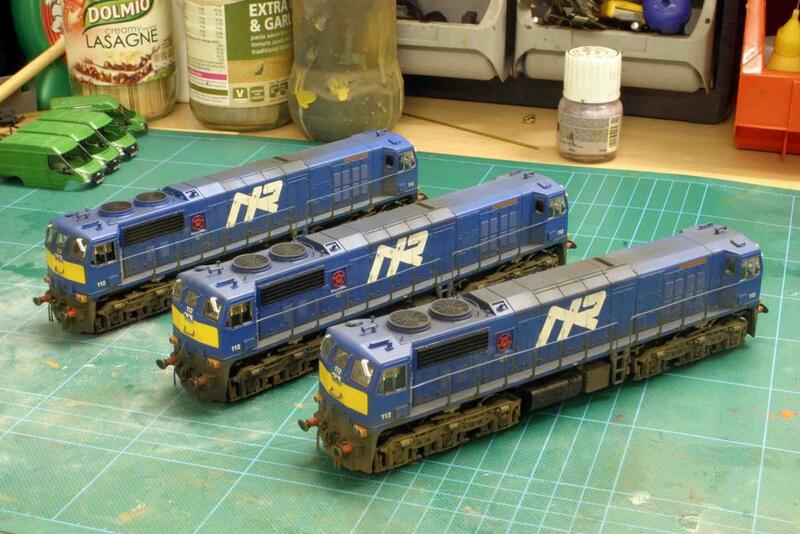 Nice job on the NIR 111s,they look great. The orange and grey wipers is a nice touch Noel. I forgot to Mention your limited to 10ft Wide, Anything over involved Planning permission.However you can have it as long as you want....Daft!!!! Could get one to go on top!! If your stuck on width go with a timber shed, when they are treated and insulated they last forever. I had a 20' x 16, on a concrete base in my old house. Nice and cool in the summer and warm in winter. Interesting George, a double decker or a mezzanine. The planning laws are definitely crazy. Cheers Dave that is another option that is on the list of possibilities. 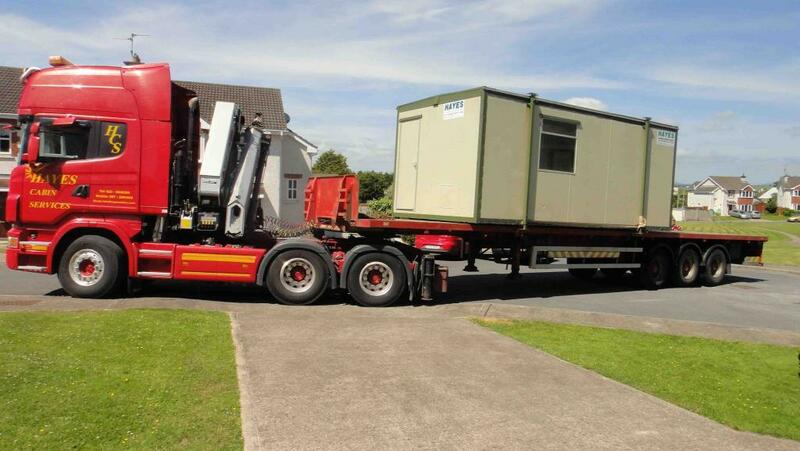 lads, no matter a house extension, a man shed, or a portacabin, they all need some of compliance with the Building Regulations & Planning & Dev Law. No structure is considered temporary, so you can't hoodwink them with a second storey. Single storey extensions, leaving a minumum of 25m2 clear garden area is general rule of approval. There is still a limit to the size of the extension you can build, and a quick chat at the planning counter in your local co-co will tell you what's acceptable. R.
Cheers Richie, that is some good food for thought. The Planning and Development act has two exemptions for development to a dwelling which can be used for model train layouts. Class 1. Allows for a 40sqm exempt extension at the rear or side of a dwelling. There are a number of conditions for this exemption relating to, previous exempt development, distances of windows to boundaries and size of private open space left at the rear of the dwelling, to name a few of them. Class 3. Allows for a 25sqm exempt garage, shed, tent or awning. Again there are conditions, not allowed to be in front of the dwelling, previous exempt development, cant exceed 4m in height and if connected to the house it should be built with like finishes, to name a few. Oh and! you cannot keep ponies and horses in it! This can be found on line = http://www.environ.ie/en/Legislation/DevelopmentandHousing/Planning/ Open the pdf at the top of the page and scoot down to page 236 'Schedule 2'. And as mentioned above by Glenderg, all exempt developments to a dwelling have to comply by law with the Building Regulations. Eoin, with respect, I think you might be off target a wee bit. the Planning and Development Act 2000 doesn't set out what you can and cannot build in detail. It sets out development standards. It also sets out the connection with the building regulation act, building control act, and subsequent regulations. To most normal people navigating this minefield, its best to give them the easiest route to an answer, which is going to the local county council planning counter and have a chat with the guy behind it. Especially if its a man/train shed! edit - I'm a qualified architect. Next Budget: Man Cave Tax: E10 per Sq ft.
You could always build an underground man cave/bomb shelter, which just happens to contain a layout! At least if there's nuclear war and you're stuck in it, you'll have something to keep you entertained! Still tipping away over the past few days, Time is difficult to come by as herself is working nights so kids need to be looked after. 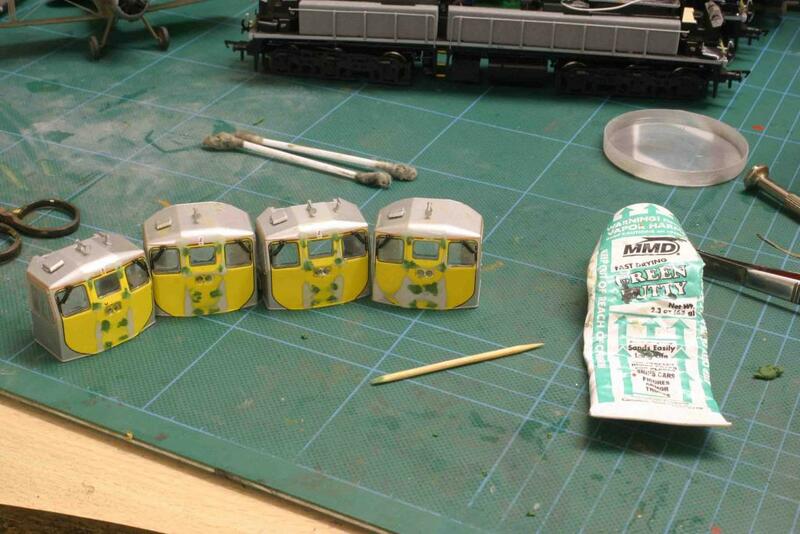 The Cabs yellow areas were masked off,make sure you get these on straight as it looks a bit off when done wrong not to mention the waste of time correcting it...Believe me!!!! 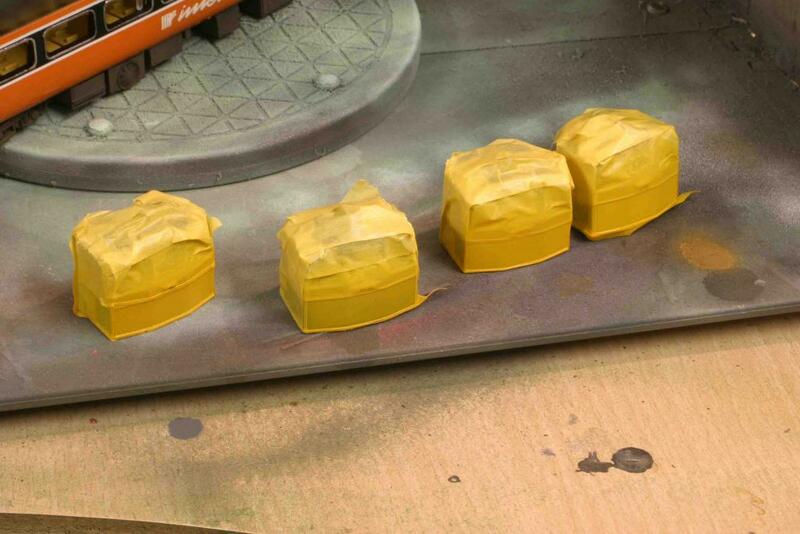 The yellow was sprayed using Revell Satin Yellow. Nice finish and Dries quick too. Also on the go is one of these. 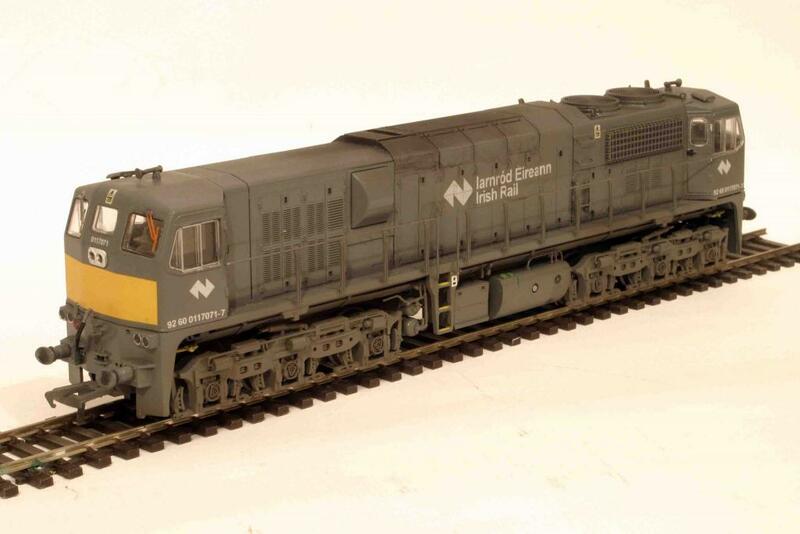 I have two to make...MIR 071, Its been re-scribed which takes a fair bit of time..
Also a couple of coaches came through the door and using some 1mm masking tape to mask the Lining off these have come up quite nice. 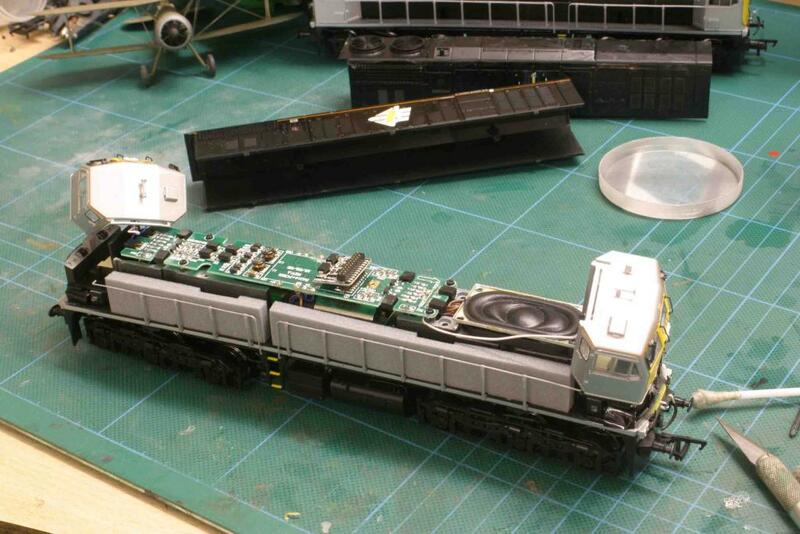 Done a 071 for myself this week and bunged a sound chip in, Eamons Vids really show the best of the sound off. 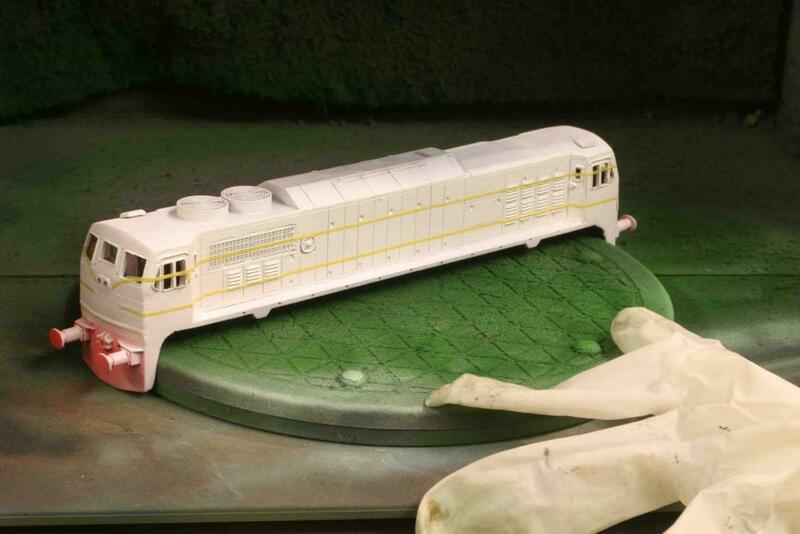 I have some Taras built of which is one behind the loco. As my tripod is loaned to fiend I have not got shots of those.Had these done for some time but had to finish them off.